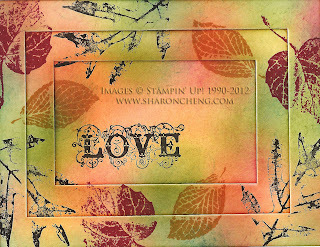 French Foliage is one of my favorite Stampin’ Up! sets with leaves. It has a variety of leaves and a nice script image too. This card came about because of a request from a friend, Rose Conkwright. She wanted to learn how to do the triple time stamping technique and said I could put a twist on it if I wanted. 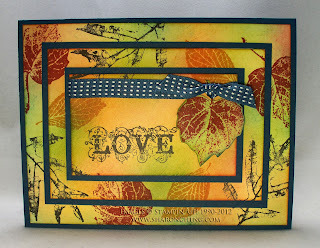 So here is my triple time stamping technique card with a twist! The twist is that I added sponging to the card. 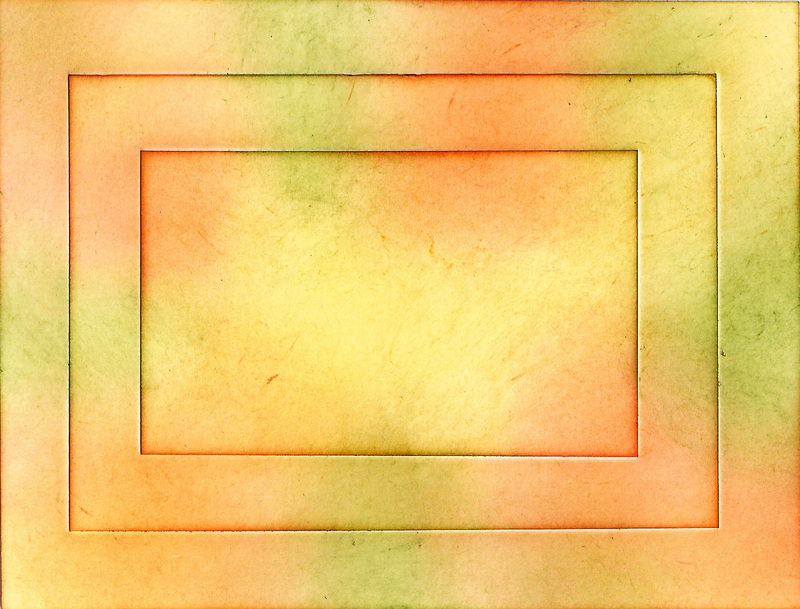 It allowed me to vary the color in the background rather than just having the color of the card stock. One of the things I like about fall is all of the different colors in the leaves. 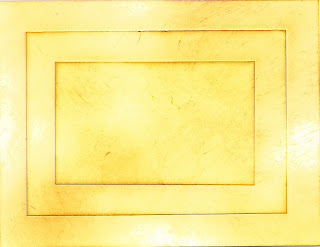 3 1/4 x 2 inches. 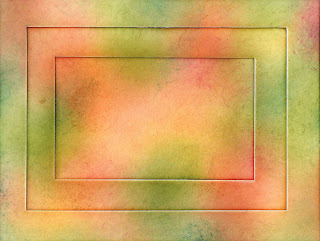 You’ll also need a scrap of Very Vanilla card stock that is big enough for the largest leaf in the French Foliage stamp set. 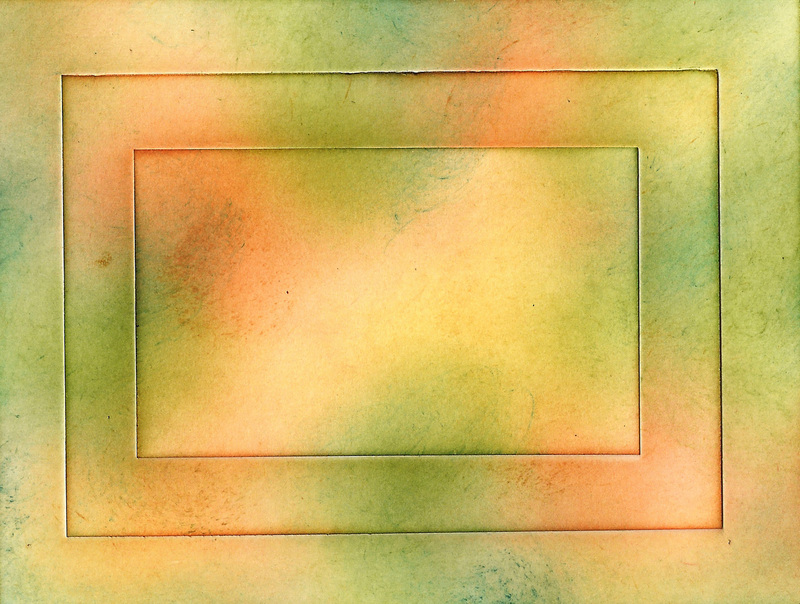 Layer the three Very Vanilla pieces of card stock from smallest to largest. Lightly tack the three pieces together well enough to sponge and stamp on. Remember that you’ll have to take these three pieces apart later. 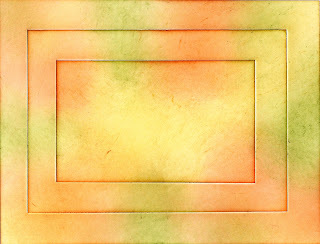 Sponge these 5 colors: More Mustard, Pumpkin Pie, Old Olive, Not Quite Navy and Cherry Cobbler on both the layered pieces of Very Vanilla card stock and the scrap. 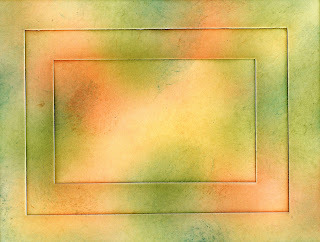 You can use other colors that you like as long as you avoid mixing colors that make a muddy brown. More Mustard is the color that you will use the most. Notice that the color is sponged on unevenly and that several spots do not have any ink on them. I recommend keeping it light when you first start. Remember that you can always add more ink to make the card darker, but you can’t take off ink to make it lighter. Add just a little bit of Not Quite Navy. And use Cherry Cobbler lightly too. Make sure your leaves go in different directions. 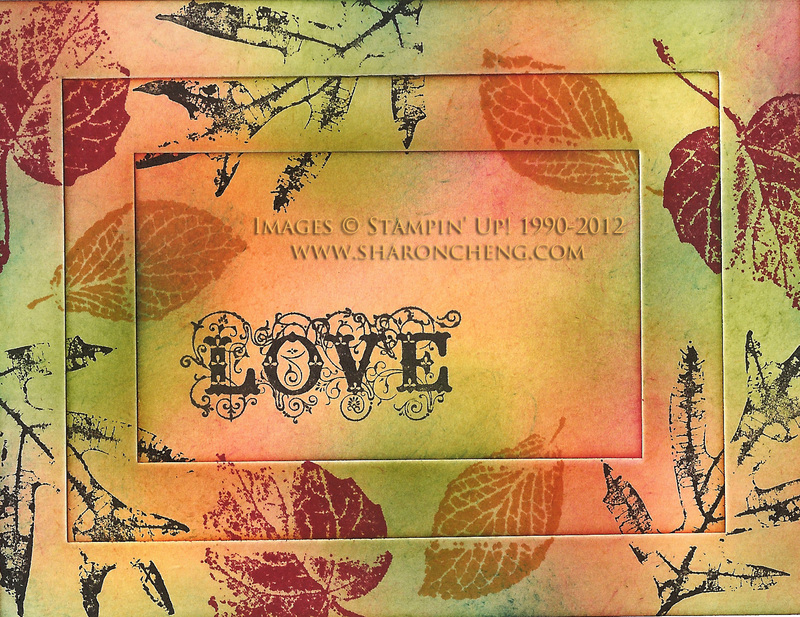 I stamped three of each leaf. 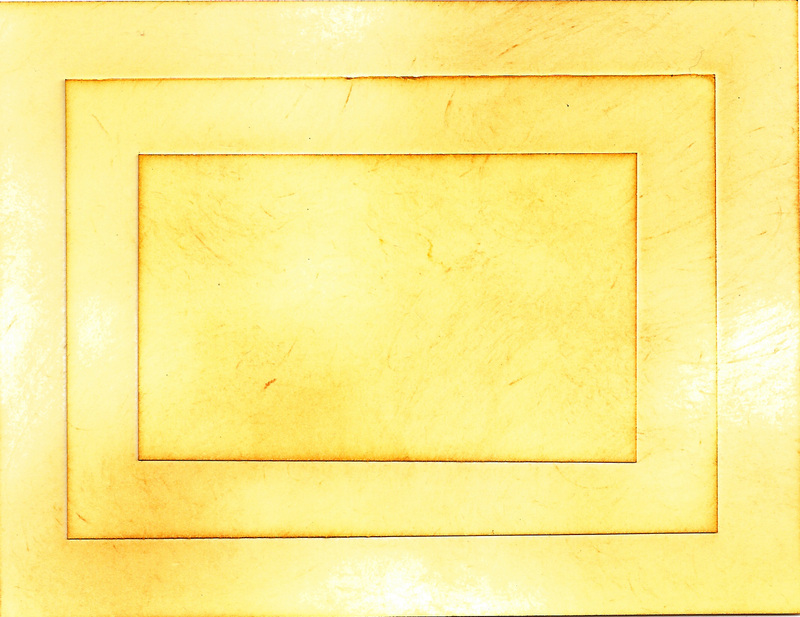 Don’t worry if there is a little gap in the stamped image between the layers. It will be covered up when you add the Midnight Muse layers. 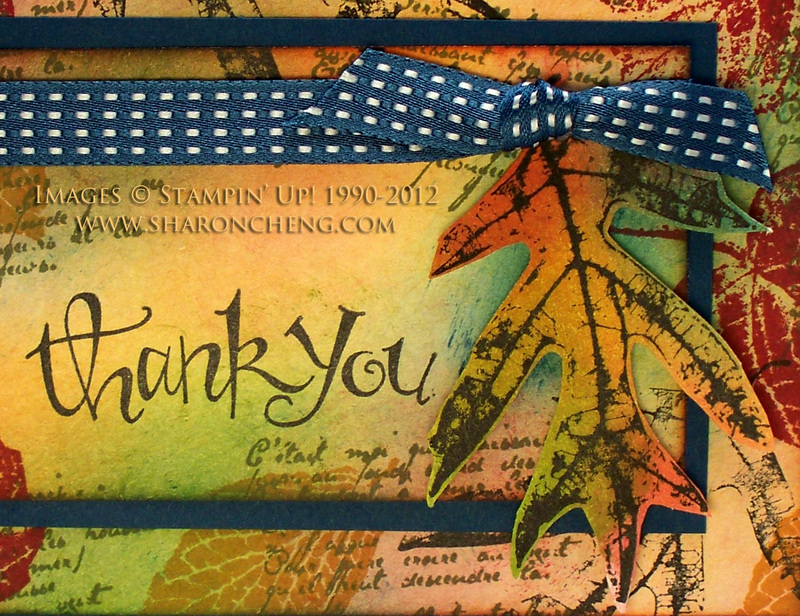 Stamp the oak leaf on the scrap piece of Very Vanilla that you sponged. Cut out the leaf. Pull apart your sponged and stamped layers. 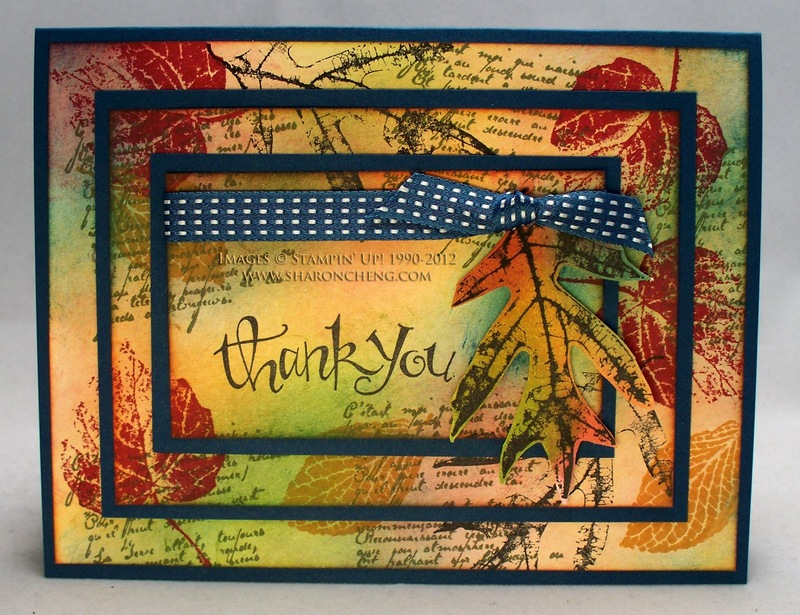 Add the leaf and Midnight Muse ribbon to the top layer. 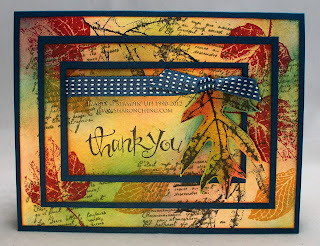 I used Stampin’ Dimensionals under the oak leaf. 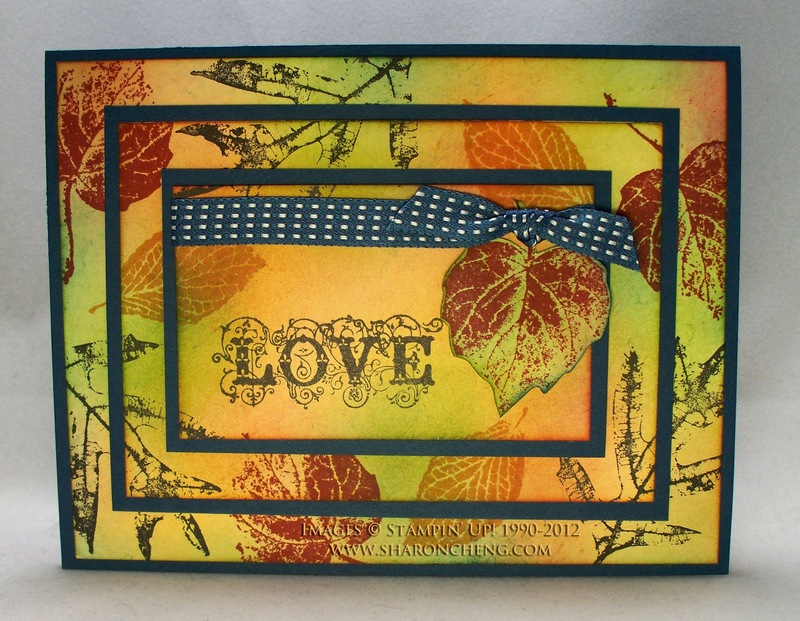 Add the other Midnight Muse layer, attach to the card and you have finished your Triple Time Stamping with a Twist card. 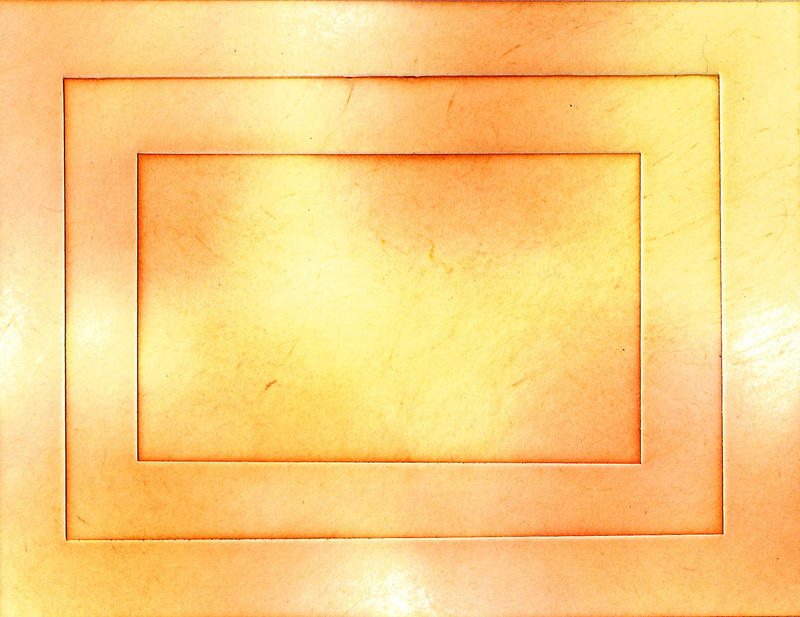 Here is a different version of the same card. Love it! Thanks for sharing all dimensions and steps! Very nice! I love the touch that the sponging adds, too! Beautiful card! That's gorgeous! 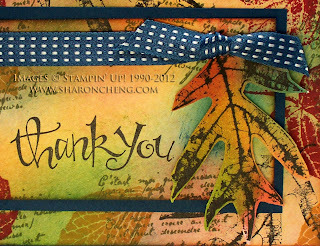 Love your sponging - thanks so much for the great tips. The colors are so rich and beautiful! TFS!